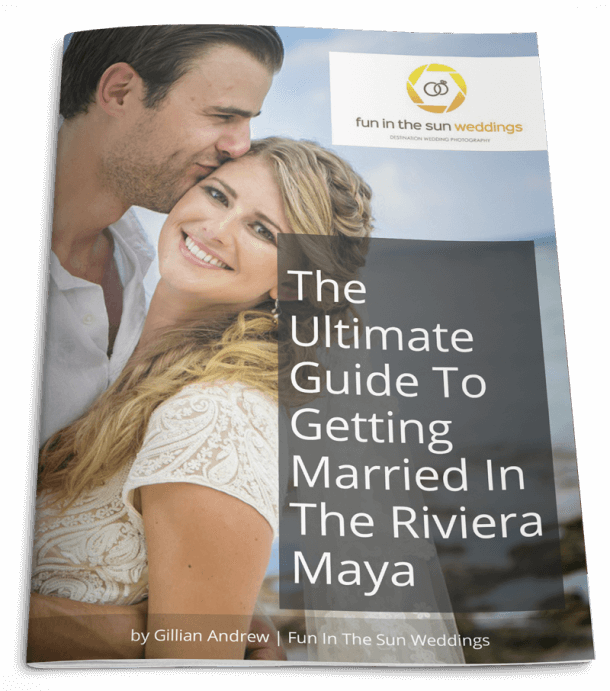 Are you thinking about getting married on the beach in Mexico? According to The Knot’s 2015 Real Weddings Survey, out of 350,000 destination weddings a year, a quarter of them are in Mexico and the Caribbean. The Riviera Maya, a stretch of gorgeous ivory beaches and turquoise sea that runs from Cancun to Tulum, is one of the most popular vacation spots in the world. 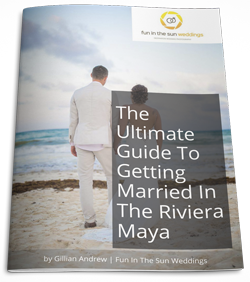 Its beachfront resorts, over-the-top nightlife, great shopping, romantic cenotes, and stunning Mayan ruins make it not only the ideal choice for a destination wedding but also a ‘carry-over’ honeymoon. Destination weddings.com estimated the average honeymoon budget to be 14% of the overall wedding budget. By combining the wedding and honeymoon in the same destination, couples can save a good chunk of change! The Knot survey also found that 7 out of 10 couples choose to honeymoon in their wedding locale, which makes perfect sense. The party’s over, but instead of packing for home they can relax. A romantic choice would be to choose a second property in the same destination, maybe something more intimate and secluded, where newlyweds can decompress and reflect on their future together. And with so many beautiful beaches for a honeymoon, you can then choose to stay on at your wedding resort after your guests leave, or move down the road to somewhere more private, or adult-only. The options are endless! Think of it as two vacations in one! And a two-for-one deal is definitely what Mexico does best! Will you stay on for a honeymoon after your destination wedding? We want to hear about it in the comments below! Are you looking for the best Playa del Carmen wedding photographer for your beach wedding? Then contact us now! We are Fun In the Sun Weddings, for the best Riviera Maya wedding photography in Playa del Carmen, Tulum and Cancun, Mexico.